A place perched in the mountains with infinite things to do for nature lovers and discerning travelers! 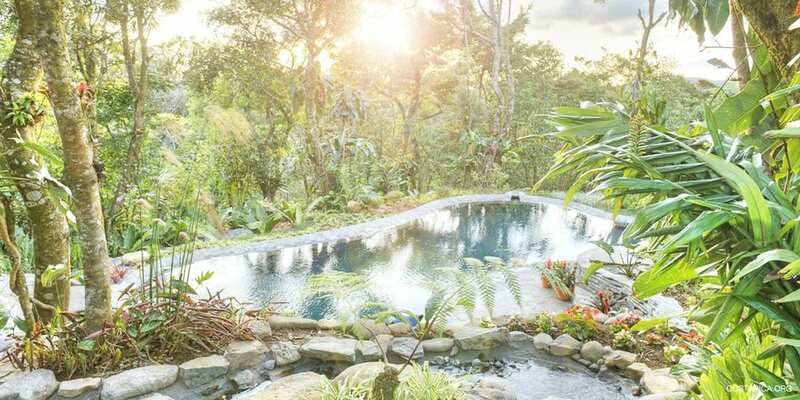 Located in the Tilaran Mountain Range on the edge of the world-famous Monteverde Cloud Forest at an altitude of 4,600 ft (1,400 m), you will find Monteverde Lodge & Gardens. 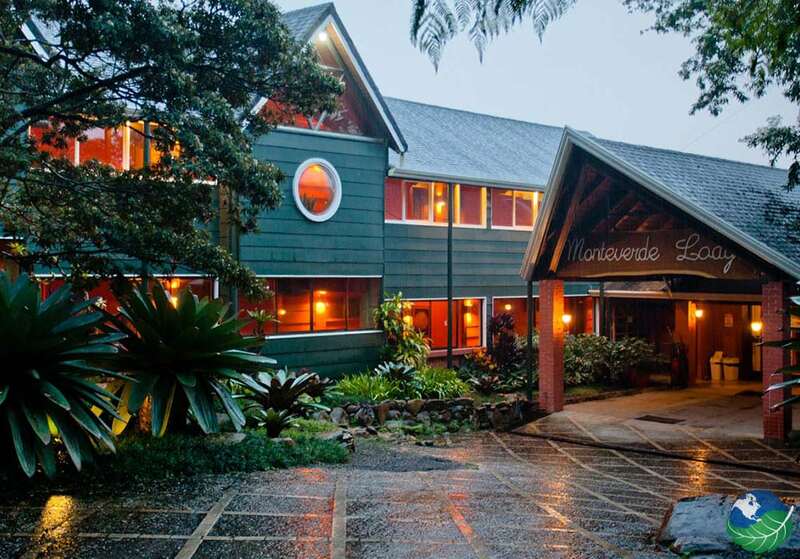 With a proximity of only 4.3 miles (7 km) to Selvatura Park and about 15 minutes to the entrance of Monteverde Cloud Forest Reserve, this hotel offers a perfect location for your Costa Rica vacation! It is also within about 20 miles (32 km) of the Quebrada Grande Arena and I.N.V.U Park. 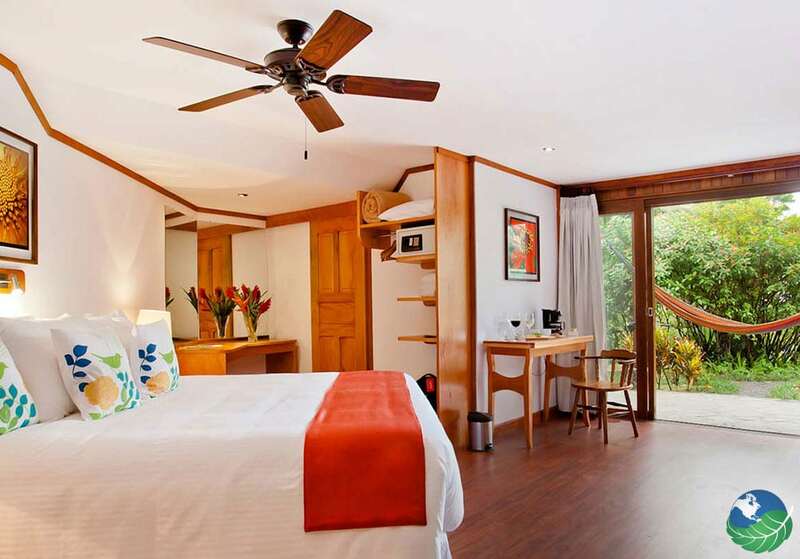 Monteverde Lodge & Gardens provides you with 28 beautiful rooms. They all offer stunning views of the forest and garden. Furthermore, they all have free wireless internet. However, you will still be able to reconnect with nature. 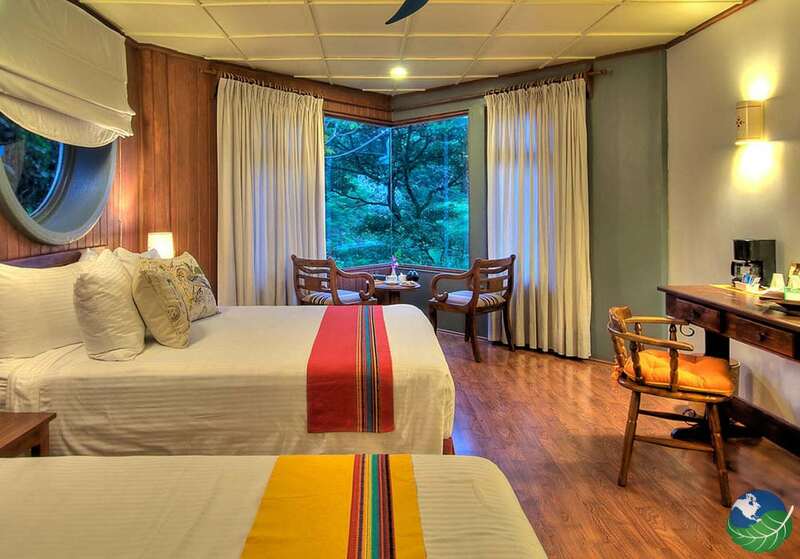 Fall asleep to the sounds of the jungle awakening and wake up to its soothing noises. Stretching on approximately 25,000 acres, the Monteverde Reserve holds six different life zones with endless habitats. About 2,000 plant species are home to this area, offering various wildlife a place to live, thrive and flourish. And you will be able to observe a great part of them! Overall 400 bird species and over 100 species of mammals live here. Especially for Birdwatching vacations and Birding in general, Monteverde is a true paradise! With a bit of luck, you can spot a Resplendent Quetzal, a Three Wattle Bell Bird, a Motmot, a Cabani’s Ground-Sparrow, a Lovely Cotinga, a Fiery-throated Hummingbird and many more! Just have a bit of patience and make sure that you will take your binoculars while hiking on one of the many trails. If you feel more like staying on the property you will not miss out on the great bird variety! The Lodge’s private gardens are home to many native plant species, which attract a lot of fauna as well. In Monteverde Lodge & Gardens you will receive an informal, caring and personalized style of service. Feel right at home in this quiet, tranquil and laid back atmosphere. 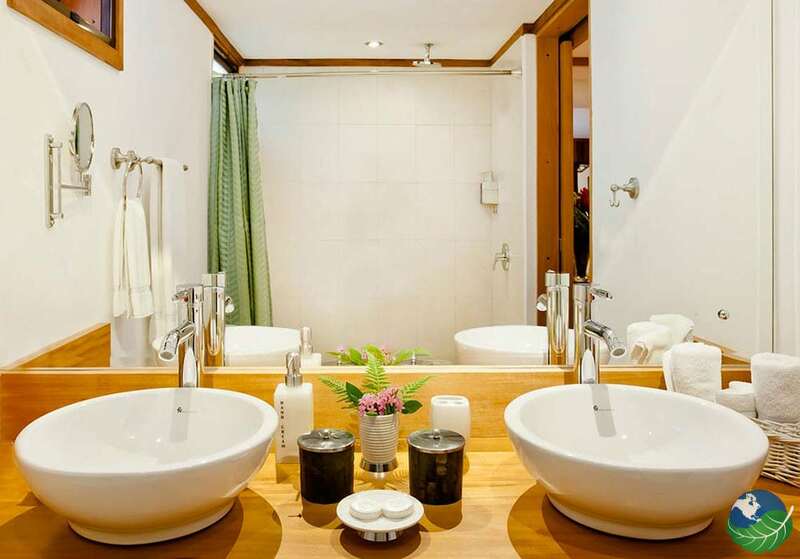 The rustic, elegant interior with an open fireplace will offer you everything you wish for and need for your special stay in this precious environment. 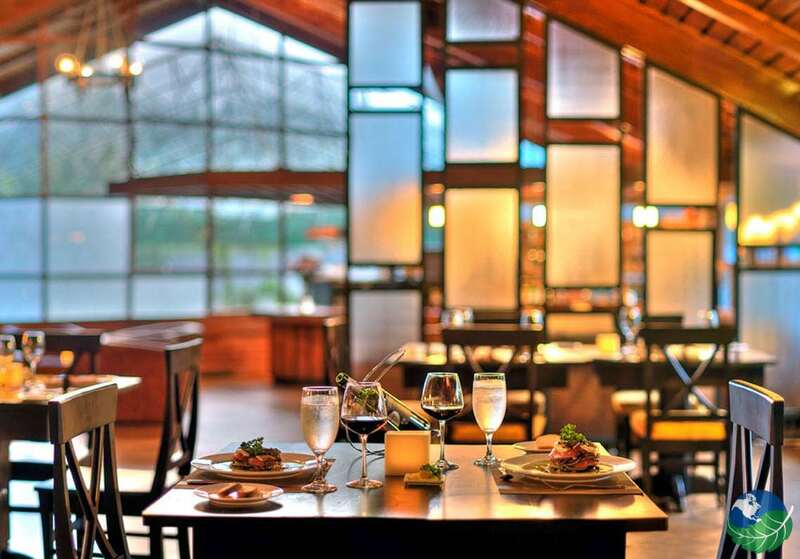 For your culinary well-being, start and end your day in their on-site El Jardin Restaurant. The menu includes simply prepared local produce and every meal comes with fresh homemade bread. You could probably describe their cuisine as creative and contemporary. Also, if you are a wine lover you will be happy with their wine list. It includes some of the best South American wines. Head to the bar for a refreshing end of the day drink. To guarantee you will not be bored, the Lodge and the entire area offers so many things to do! Suggested activities include hiking, birding, horseback riding, and zip lining, just to name a few. If you decide to go for a hike take a local guide. They will be able to show and explain to you the different habitats and wildlife! To get a different view of the flora and fauna, mount a horse at the El Rodeo stable, soar down zip lines, or walk along different hanging bridges installed in the treetops. Adventures and adrenaline are not part of your preferred tour? Take advantage of Monteverde’s culture and visit bat, orchid, and frog exhibits you can all find close by. Besides that, you can always walk around the Lodge’s butterfly and hummingbird garden. Other cultural options include visiting chocolate, sugar and coffee plantations. 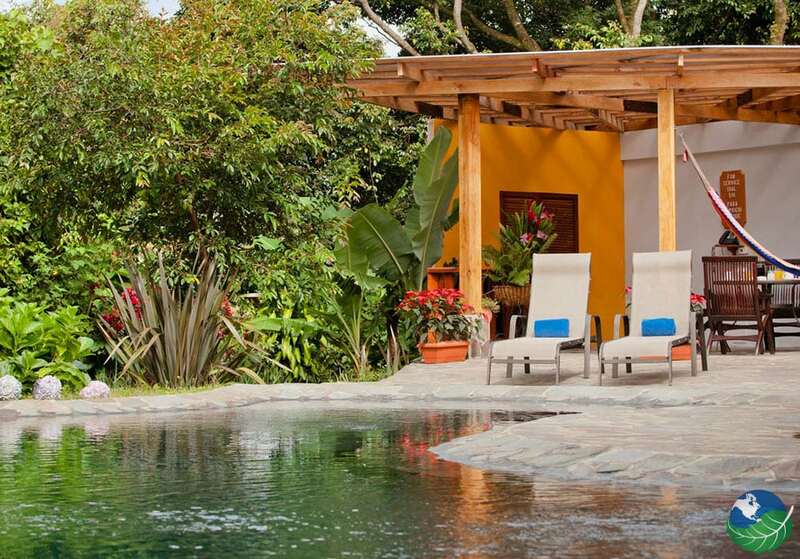 And, to round off your perfect day at Monteverde Lodge & Gardens swim and relax in La Posa de Doña Yolanda solar-heated pool. You can also schedule a massage in their massage room.